Giulia and I were wandering round St David’s towards the end of last year, as you do, when we spotted something wonderful: a Kiko store. Giulia is Italian and very familiar with the brand, whereas I’d never tried any of their products but had read good reviews on blogs etc. We looked at each other and, without saying a word, marched straight over to the store and started browsing (she bought the cherry Kiss Balm, which is now her favourite thing ever). I bought a lip liner that day, which I’m going to be talking about in next Monday’s post, and then last month when I went back I grabbed a few more things to try (well, they did have 50% off). No lie, my eyes have been looking rough lately. I haven’t actually tried this yet (I’m using up the last few dregs of my cream from Dirty Works) but apparently this serum is designed to fight dark circles and and puffiness immediately, quite the promise. More believable is the claim that it keeps the skin around the eyes moisturised, something my eyes most definitely need at the moment. Does anyone else get dry patches round their eyes at this time of year, or is it just me? Anyway, I can’t wait to try this out, and I’ll let you know if it makes a difference! While we don’t have to worry about the sun any time soon here in Wales, I am aware that UV rays can have an effect on skin all year round, particularly if you use products with AHAs in. I do, so I wanted something that would offer some protection without me having to buy a full-on sun cream. I’m glad I bought this because it’s not as heavy as the facial sun creams I’ve tried in the past, and although it has a slightly thicker texture than your average primer it still creates a smooth base for my foundation. There’s no pilling (when the product peels off in little balls) which I find is a huge problem with sun cream in general, and for that I am incredibly grateful. Those of you who read my adult acne rant from a couple of weeks ago will be aware that the doctor suggested I go home in the middle of the day to wash my face. Obviously this isn’t practical in the slightest, but I did go out and buy some blotting papers (I find that layering on more powder from my compact just makes my skin look cakey). These are incredibly easy to use, you just press the paper against your skin and wince at the amount of oil that it absorbs — my skin never used to be like this! The packaging is slim enough to fit in a bag without taking up too much room, and I think the little envelope looks really cute. A definite repurchase. 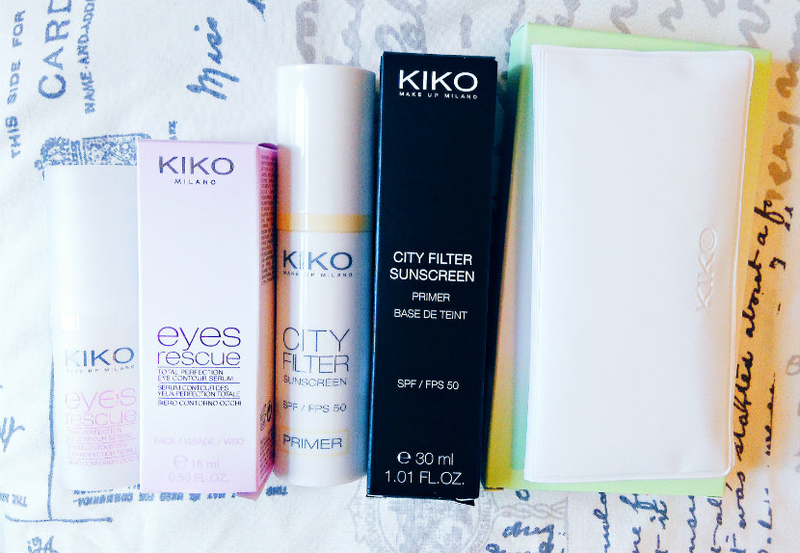 Have you tried anything from Kiko before? What would you recommend? Let me know in the comments!